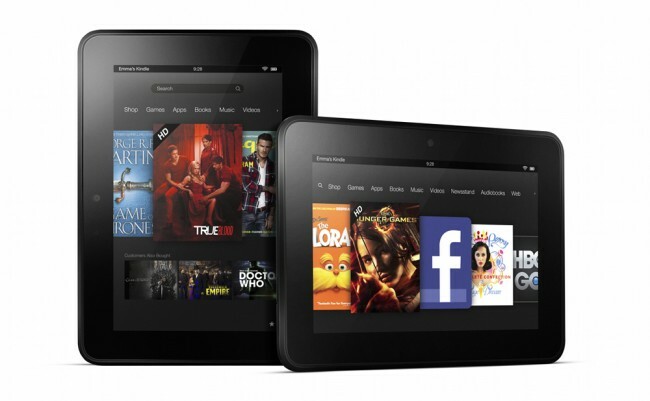 The brand new Kindle Fire HD 7″ and the 2nd generation Kindle Fire are now available. Announced last week at an event in Los Angeles, Amazon initially only opened up pre-orders for these two devices with a launch date of September 14. Since it’s now September 14, the switch appears to have been flipped, with pre-orders becoming a thing of the past. If you don’t feel like waiting for the Fire HD 8.9″ or Paperwhite, then hit up the links below and get to ordering. At $199 for the 7″ HD model, you are looking at one of the better deals in all of tech. Amazon’s UI may take some getting used to if you are coming from a traditional Android device, but that screen, new WiFi tech, Whispersync, and Amazon ecosystem are tough to deny.